Roong Reuang Coach offers a service between Suvarnabhumi airport and Hua Hin with a 24-seater brand-new luxury coach. 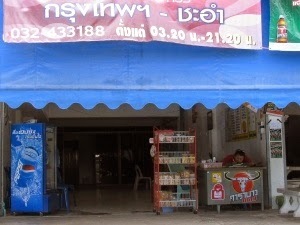 The service is operated daily with 6 departure times from each location daily, Starting from 07:00 am from Hua Hin bus station and 07:30 am from Suvarnabhumi airport At “HuaHin” counter on Level 1 at Gate no. 8. Note: The estimate travel time between Suvanabhumi Airport and Hua Hin will be 3-4 hours subject to traffic condition. It could take longer during a long holidays in Thailand. Therefore, please plan your trip to spare some traffic on the road. 1. Each passenger is allowed to have 1 carry-on bag that fits in the overhead compartment and 1 luggage with maximum weight of 20 kg. Additional luggage (with maximum weight of 20 kg/piece) will be charged 50 Baht/piece except for some items such as television or bicycle that will be charged 200 Baht/piece. 2. Our system does not accept customer who has more than 2 check-in luggage to make reservation. In that case please contacts our staff to make sure that we can help you with the extra before making the reservation. 3. All luggage must be clearly labeled with the owner's name and destination address. 4. We advises that the following items should not be included in luggage. 5. We handles passenger luggage with the best possible care. However, a passenger's property is carried entirely at your own risk and we accepts no responsibility for loss or damages. Passenger is therefore advised to carry travel insurance to insure your property. 1. The coach departure times at all locations are fixed. 2. There are possibilities that our coaches are late from their departures and resulting in late arrivals. Please make sure that you have spare time for late departure or bad traffic along the way, which will result in late arrival at your destination. We are not liable for any missed flights or trips. 3. 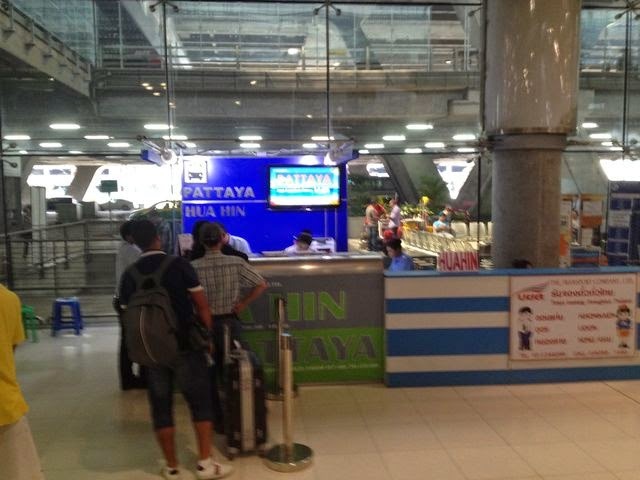 Our vehicles are insured for passengers and third party claims as required by Thai laws. All passengers acknowledge and accept Our insurance coverage while booking. However, we recommend all passengers to purchase your own travel insurance policy to cover any injuries, losses or damages that might occur at your own expense. 4. Smoking and drinking of alcoholic beverages are not permitted while traveling on our vehicles. 5. Our staff reserves the rights not to allow drunk or misbehave customers on board if they feel that these customers will disturb others. 6. We do not supply baby seats or child booster seats for your children. 7. We will do our best to supply all passengers with optimal comfort and convenience while traveling to your destination. However, we are not responsible for any liabilities occurring beyond our control, such as accidents causing delays to the vehicle, restricted vehicular access, exceptional or severe weather conditions, compliance with requests of the police, deaths and accidents on the road, unforeseen traffic delays, any actions by third parties, problems caused by other customers, the vehicle being held or delayed by a police officer or government official or any other circumstances that may affect passenger delays and safety.